Once the crown prince of the Shakespearean stage, 53-year-old British director and actor Kenneth Branagh has taken a recent left turn right into the heart of the mainstream. His last film was 2011’s Marvel Comics smash Thor, his next will be a big-budget adaptation of Cinderella starring Cate Blanchett and Helena Bonham-Carter (to be released in 2015). 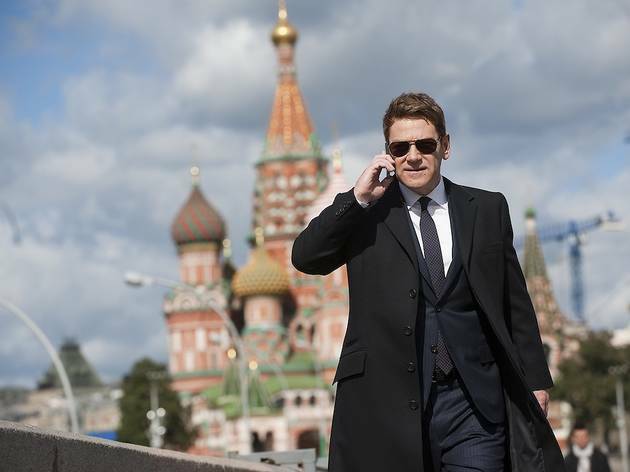 Inbetween, Belfast-born Branagh found time to direct Jack Ryan: Shadow Recruit, an old-fashioned slice of Hollywood thrills ‘n’ spills starring Chris Pine as Tom Clancy’s everyman CIA agent previously seen in films including The Hunt for Red October and Patriot Games. 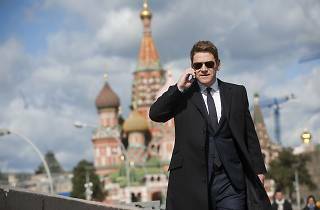 As well as overseeing all the explosive action, Branagh cast himself as Viktor Cherevin, a devious Russian oligarch seeking revenge against the US for all that nasty Cold War business. Why do you think the producers approached you to direct Jack Ryan: Shadow Recruit? You’re not the most obvious choice. The truth is that a director fell out and in the aftermath they asked me. And I just liked it, the script was great. They’d been developing it for four or five years with lots of writers, so my job was to come in and guide the process, gather everyone’s ideas. I was there to wrangle a lot of talented people. Are you a fan of this kind of action thriller? Definitely. And I’m not new to it—there was more action than I expected on my first film [as a director, in 1989] Henry V with the Battle of Agincourt. Then, the second film I made was a thriller for Paramount, Dead Again. So yes, I like a good thriller. I admire a good plot, well told. Did you base your own character of Viktor Cherevin on any particular Russian oligarch? We certainly met some real bruisers. Ruthless, ruthless men. Ex-military types, guys who had been in prison, people with the kind of experiences that we thought Cherevin might have. So it was an amalgam. Frankly, I was scared to make it too specific! I’d be floating down the Thames in a box. Do you consider the politics of a film like this before you step in? The CIA isn’t exactly everyone’s favorite bunch at the moment. You can’t be casual about it. If your film begins with images of 9/11 [as this does] you need to continue with an appropriate sense of seriousness. The idea was to ask what it means to be a patriot in 2014. If you don’t have a desire to see America dominate the world, or Russia for that matter, you can still have a profound love of country, and a desire to protect it. Jack is a man of feeling, of intellect, of principle, trying to navigate this world, and to work within an organisation he has significant concerns and reservations about. If there are future instalments, I can imagine this idea of honour in a dirty world would be a very central theme. I was amazed to see a very brief cameo from the Liverpudlian actor Michael Starke—who played Sinbad in the TV series Brookside. Then I learned the film was partly shot in Liverpool, doubling for Moscow. We did a fair bit of shooting in Moscow, so we got to see the dominating physical effect of the Kremlin over that city. But at one time Liverpool was the most prosperous city in the world, so it has that same big-city architecture. There’s even a touch of the Soviet about some of it. And yes, Michael Starke is excellent! I’ve worked with him before. We actually shot him down at Pinewood, not in Liverpool. But it’s a pleasing piece of trivia! Have you thought about making a movie with Liam Neeson? You seem to be taking a similar career path at the moment. I loved Taken. The day it opened in America I was trying to get onto the 405 freeway in LA, it was a complete nightmare, and suddenly there’s an ad break on the radio and I hear this voice (puts on note-perfect Neeson accent): “I have a very particular set of skills.” I just loved it. “I will find you… and I will kill you.” So yes, I love Liam, and it’s surprising that we haven’t hooked up. Good idea! What’s happening with Cinderella. Is that all ready to go? It’s finished shooting and we’re in the middle of editing. It was such a refreshing change of tone and pace. I worked on that and “Jack Ryan” at the same time for a while—thriller in the evening, fairytale in the day. Do you ever plan to return to the bosom of the British film industry, or are you having too much fun? I made both Jack Ryan and Cinderella largely at Pinewood, so in a sense I’m still right in the middle of the British film industry. But yes, it’s been fascinating to join these giant rolling caravans, but it’s been an intense experience. Whatever I do next, I think it’s likely that it’ll have more personal input, something I’m involved in writing. But I try to stay open to surprise!